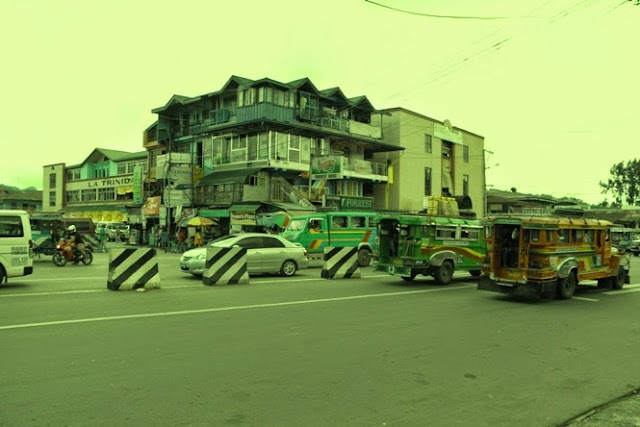 In two separate arrests on Saturday, four men in La Trinidad were taken into police custody for allegedly stealing motorcycles in Baguio City and La Trinidad. Among those who fell into the hands of the law are three men caught by a police patrol along a portion of Halsema Highway in Tomay. The cops saw the three men pushing a motorcycle. When queried by the cops, the three men weren't able to produce documents proving that they own the vehicle. The cops also noticed that the motorcycle's ignition wire has been cut. During the arrest, a kitchen knife, a screw driver, and a wrench was recovered from the three men. It was soon found out that the motorcycle they had in their possession was reported stolen along Naguilian Road in Baguio City. It belonged to a money collector. The three suspects have been identified as Monico Enomneng Hernandez (28 years old), Ariel Say-ao Moquil (27), and Nickson Babawen Binaliw (28). All three are from the town of Tadian in Mt. Province and residents of Puguis in La Trinidad. They've been turned over by the La Trinidad Police to the Baguio City Police for jurisdiction reasons. Also caught by the police in a separate arrest for a similar crime was Rizaldy Martinez Gamong-e, a 28-year-old farmer from Mabalite, Tadian, Mt. Province. He was intercepted at a police checkpoint in Shilan, La Trinidad. The motorcycle he was driving was a vehicle reported missing. He is now in the custody of the La Trinidad Police. A busy street in the town of La Trinidad. The Cordilleran Sun file photo.